Unmistakable in adult plumage with slightly drooping orange-yellow bill, bare red face and orange-red legs. 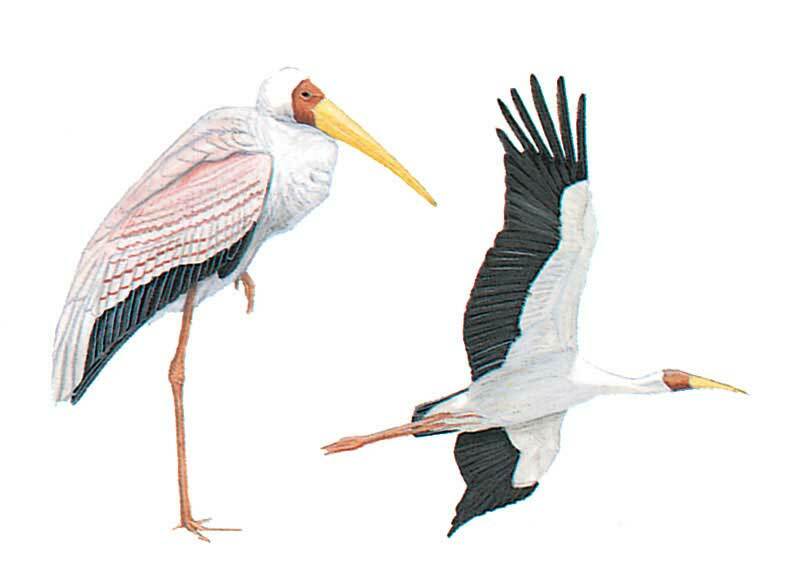 Plumage resembles White Stork but tail is black (visible in flight) and mantle and tips of wing-coverts tinged pink. Subadults are sandy buff with some pink on underwing-coverts, a much duller bill and legs, and greyish to pale orange facial skin.